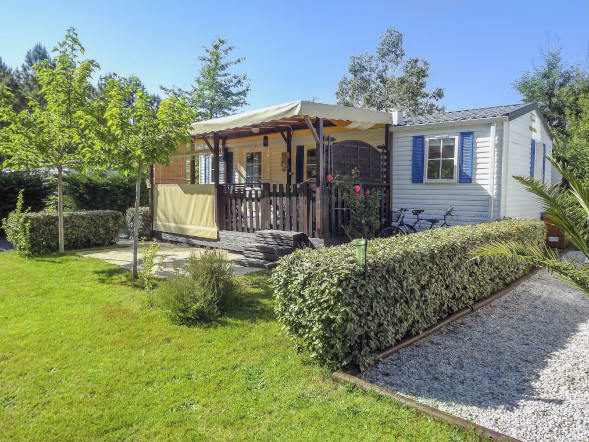 L’Arbre d’Or campsite in Landes offers you the opportunity to purchase a mobile home on the campsite grounds, an investment that could prove to be cost-effective if you like holidaying in Landes. 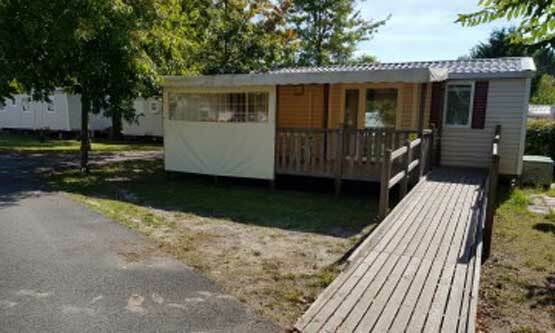 Prices for mobile homes sited on our campsite vary according to type. After your purchase payment has been accepted, and before you can enjoy your holiday home, the annual rental fee must be paid (see below). 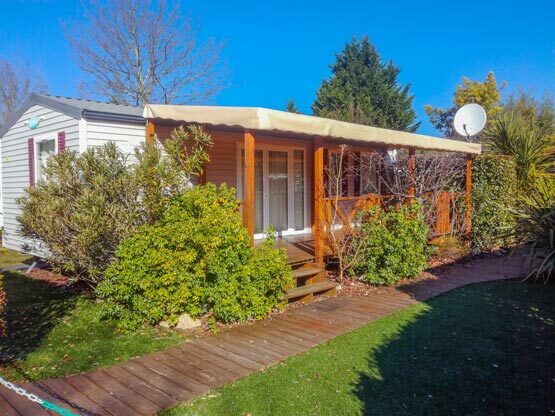 All these mobile homes are second-hand and installed on a plot. The price indicated is inclusive. 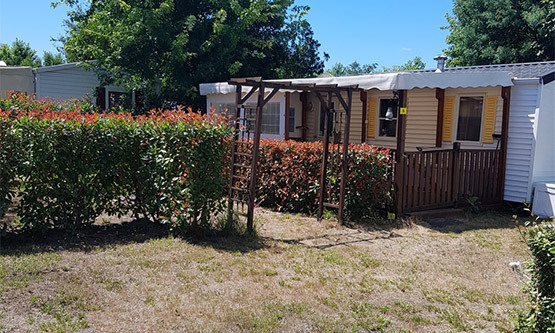 The 2016 annual rental fee for a standard plot is €2450, including 400 KWh of electricity, 15 m3 of water and tourist taxes. 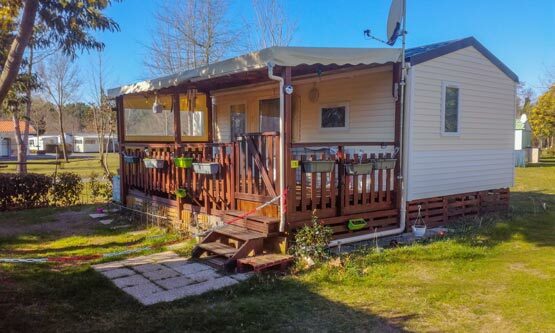 Some mobile homes have a larger plot, in which case the rental fee is raised to € 3570, including the same services. 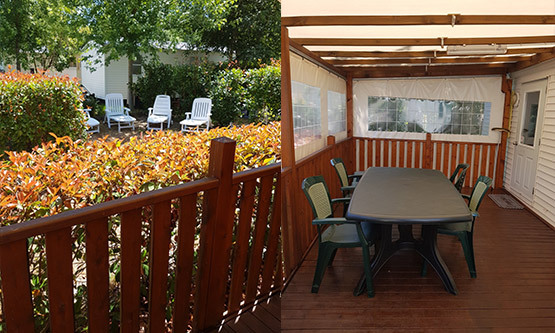 For further information, or to visit with a view to buying a mobile home on our Landes campsite, please get in touch. 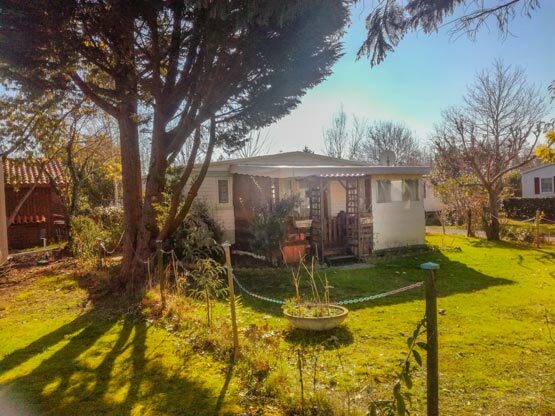 32 m², 2 bedrooms with 18 m² covered terrace with side-awning on the short end. Gas cylinder store, fridge, microwave, 2 fans. Synthetic lawn on geotextile and garden shed.